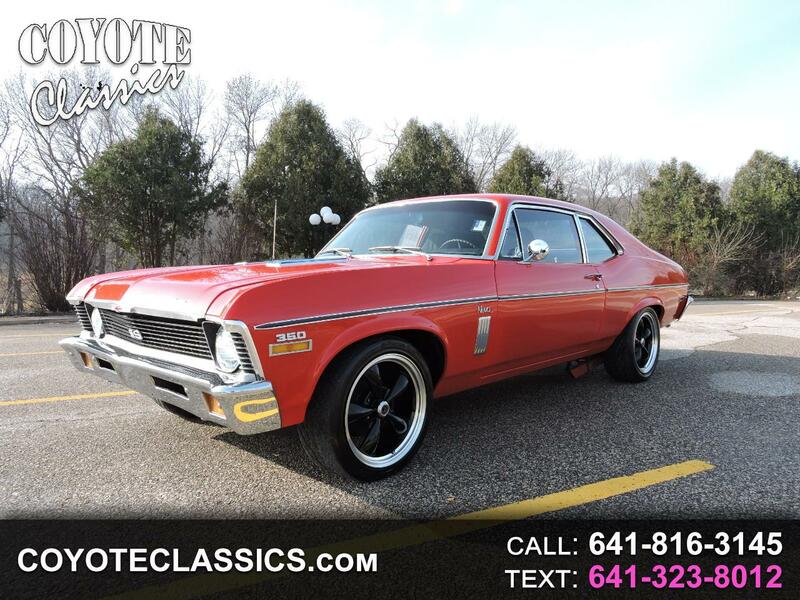 This 1971 Chevy Nova Really has the look! Its powered by a good running 350 V8 engine and backed up by an automatic transmission. This Super Sharp Muscle car comes equipped with power steering, Super sport hood, emblems, B&M shifter, headers, dual exhaust, aftermarket gauges, Chevy digital radio, kicker 6X9 rear deal speakers, and is riding on a nice set of American Racing Rims. Its exterior red paint looks real nice and has a nice solid and straight body. This is one super nice and solid original car with great lines, and a rock solid original undercarriage. Its black bucket seat interior is very presentable but does show some wear and is not show quality. This is a super cool classic nova! Message: Thought you might be interested in this 1971 Chevrolet Nova.